At the bottom of the Garden: Come here puppy, come to mummy! Come here puppy, come to mummy! Sure the Grumpy Old Man still doesn't have a job or his licence, but we're doing okay and let's face it, we've been doing okay all this time. With some [occassionally dodgy] budgeting, we're making it work. I could still buy Erik that coat he's been wanting for weeks now, and I'm going out for dinner next Friday night, so it can't be that bad. There are no pressures on me that I haven't heaped on myself. No one is making me write for blog hops or fellowships or degree proposals. We passed the house inspection with flying colours last Wednesday and have asked for another 12 month contract. Erik is going gangbusters with his painting. My parents are now on talking terms. MIL's health is good and, more importantly, stable. My cousins all over the world are having babies at a rate of knots - oh, how I'd love to be able to catch up in person and meet all these gorgeous new people! Basically, there is nothing wrong. But that bloody hound keeps showing up under my feet, tripping me up, being a nuisance. Last night I had a self-loathing party for one. They're always fun - how many ways can I hate myself, let's see... No, I won't recount them all here, suffice it to say my shortcomings are amazingly disproportionate with my awesomeness on nights like last night. But, that dog is still writhing in existential angst over there in the corner, behind me. I want to run away. I looked up flights and coach time tables yesterday to see if I could afford to run away in financial and time measures, but things like an upcoming driving test for the Grumpy Old Man are getting in my way time wise, and no, I can't afford the flight tickets. Also, I seem to have lost faith in everything. I am faithless. A blank sheet in terms of believing in anything. I would say this is how an atheist feels except without the hopelessness. Most atheists I've met don't feel this hopeless - what's with that? I'm beginning to think that any form of faith is simply the hope of having control. If a person is good they will be rewarded by God or the gods - it's a form of manipulation of the powers that be, or alternatively, if they are part of the universal essence (a god in their own right) then they can influence the flow of energy to make their own life easier and more pleasant. Faith always seems to about getting something, about being rewarded. If there is nothing other than what we see, if life just happens in some sort of chaotic momentary cause and effect with no long term overarching 'plan' and then it ends with nothing beyond the corporeal, then we can affect change through sheer hard work, right? Except that doesn't seem to work either. Maybe I'm being punished for being faithless? Well, except for the whole having food on the table, clothes on our backs, and a roof over our head, and except for the fact that little things do seem to go our way a lot. Not that I'm not grateful, it's just a funny kind of punishment - death by a thousand paper cuts? The uncertainty, the standing on the edge of precipice, that constant feeling that one wrong move could bring all out lives falling down like a card house, is doing my head in. But maybe I need to let go, because nothing is falling right now and experience has told me I can neither predict nor influence future events. All I have is right now, and right now we're okay. If only I could get this black dog to leave. 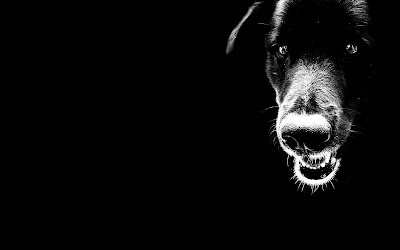 Do you battle the black dog? Do you know - rationally - that it has no reason for hanging around? How do you shoo it away? That was beautifully written, gergia! Thank you, me too!